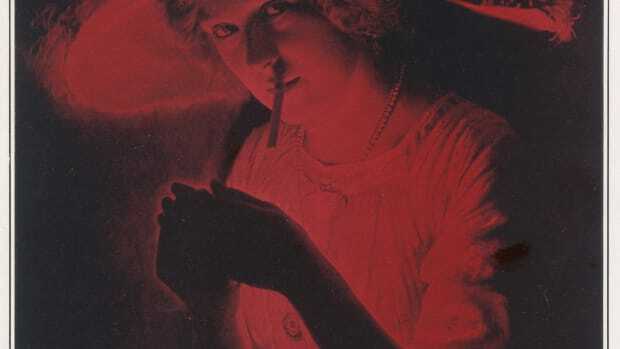 Before studies showed that cigarettes caused cancer, tobacco companies recruited the medical community for their ads. What cigarette do doctors says causes less throat irritation? 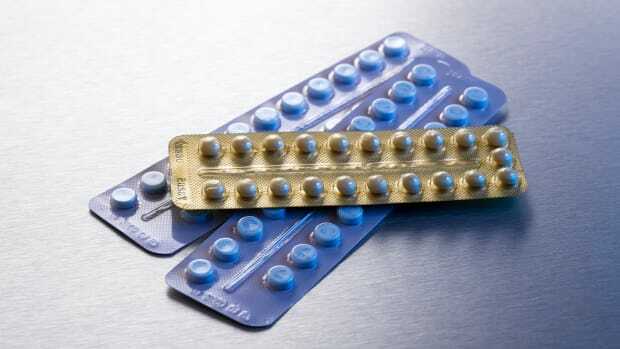 In the 1930s and 40s, tobacco companies would happily tell you it was theirs. Doctors hadn’t yet discovered a clear link between smoking and lung cancer, and a majority of them actually smoked cigarettes. So in cigarette ads, tobacco companies used doctors’ authority to make their claims about their cigarettes seem more legitimate. To the modern-day reader, the pitching of cigarettes as healthy (even to youth and pregnant moms) and the use of doctors’ endorsements may appear horrifying. Yet before 1950, there wasn’t good evidence showing that cigarette smoking was bad for you. A 1930 Lucky Strike advertisement. 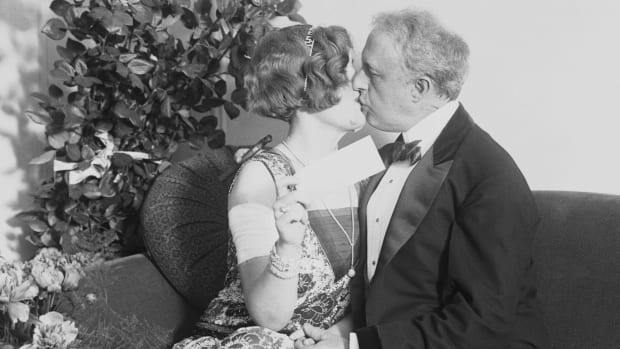 Yes, cigarettes did cause coughing and throat irritation. But companies used this to their advantage to promote their product as better than the competition. It wasn’t all cigarettes that gave you problems—it was just those other ones. 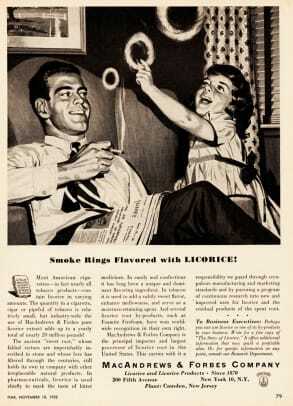 The first cigarette company to use physicians in their ads was American Tobacco, maker of Lucky Strikes. 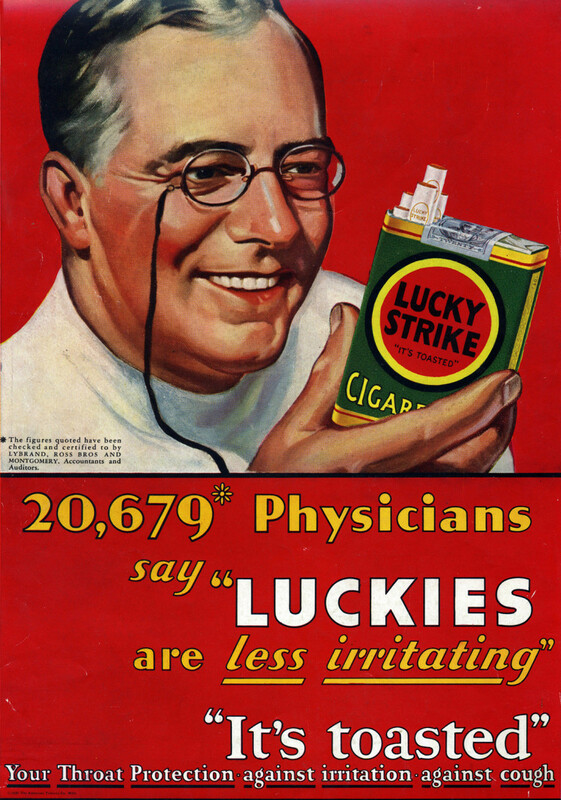 In 1930, it published an ad claiming “20,679 Physicians say ‘LUCKIES are less irritating’” to the throat. 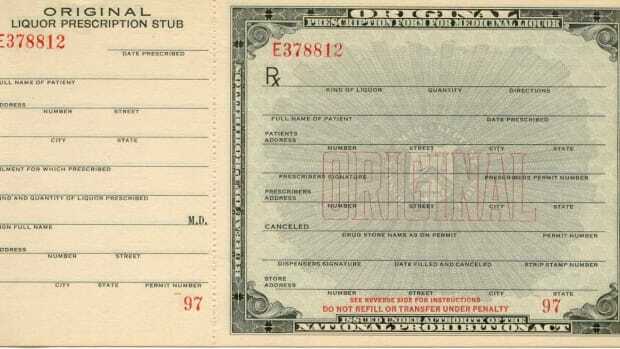 To get this number, the company’s ad agency had sent physicians cartons of Lucky Strike cigarettes and a letter asking if they thought Lucky Strikes were “less irritating to sensitive and tender throats than other cigarettes,” while noting “a good many people” had already said they were. 1937 Philip Morris advertisement claiming their brand cleared up irritation of the nose and throat. Unsurprisingly, many doctors responded positively to this biased, leading question, and Lucky Strike ads used their answers to imply their cigarettes must be medically better for your throat. 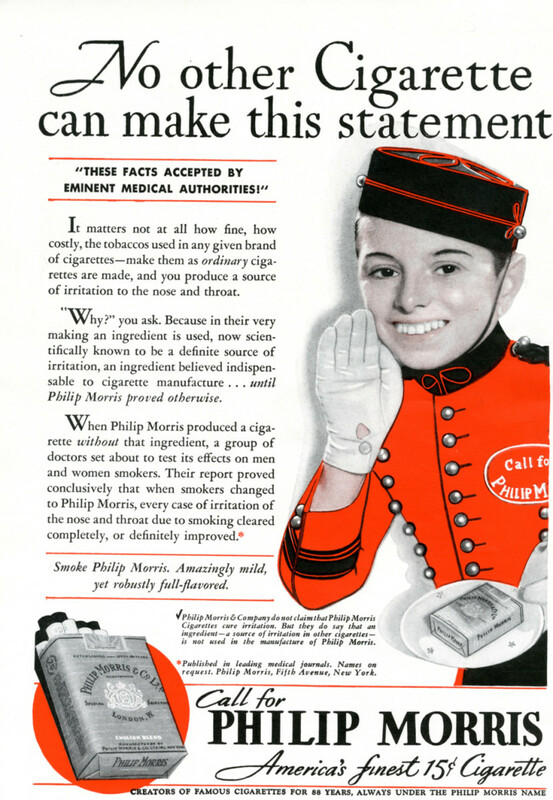 In 1937, the Philip Morris company took that one step forward with a Saturday Evening Post ad claiming doctors had conducted a study showing “when smokers changed to Philip Morris, every case of irritation cleared completely and definitely improved.” What it didn’t mention was that Philip Morris had sponsored those doctors. 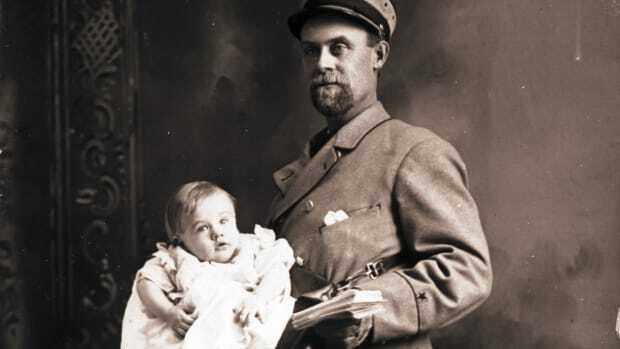 To this end, the R.J. Reynolds Tobacco Company created a Medical Relations Division and advertised it in medical journals. 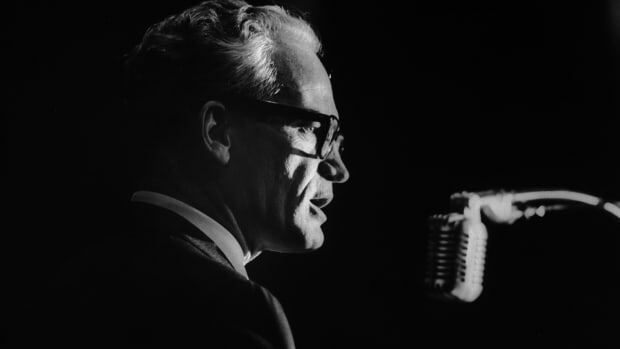 Reynolds began paying for research and then citing it in its ads like Philip Morris. 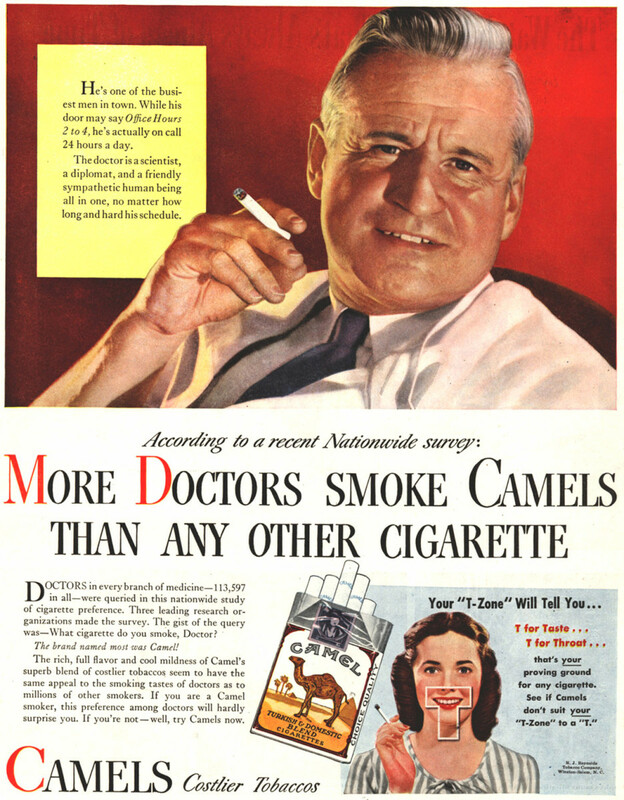 In 1946, Reynolds launched an ad campaign with the slogan, “More doctors smoke Camels than any other cigarette.” They’d solicited this “finding” by giving doctors a free carton of Camel cigarettes, and then asking what brand they smoked. 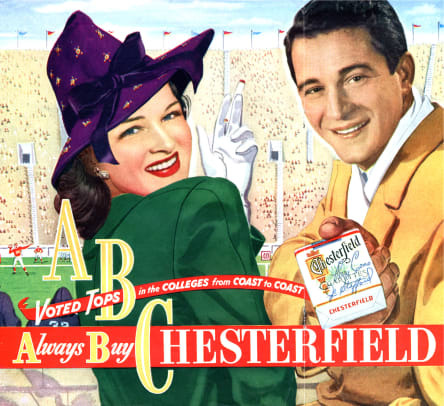 1946 cigarette advertisement launched by R.J. Reynolds Tobacco Company. 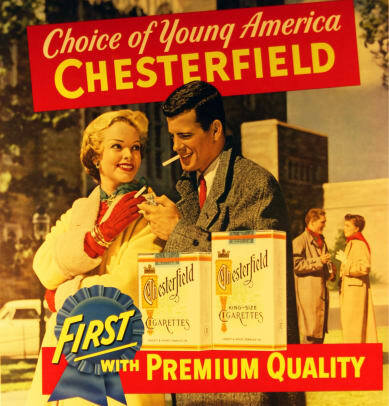 By the mid-1950s, when tobacco companies had to confront good evidence that their products caused lung cancer, advertising strategies started to shift. “What happens is, all the different cigarette companies kind of work together to try to promote the idea that…we don’t know yet if it’s harmful,” Gardner says. In 1954, these companies released “A Frank Statement to Cigarette Smokers” arguing that research showing a link between cancer and smoking was alarming but not conclusive. Therefore, the companies were forming a research committee to investigate the issue. After this, cigarette ads stopped featuring doctors because this was no longer a convincing tactic. 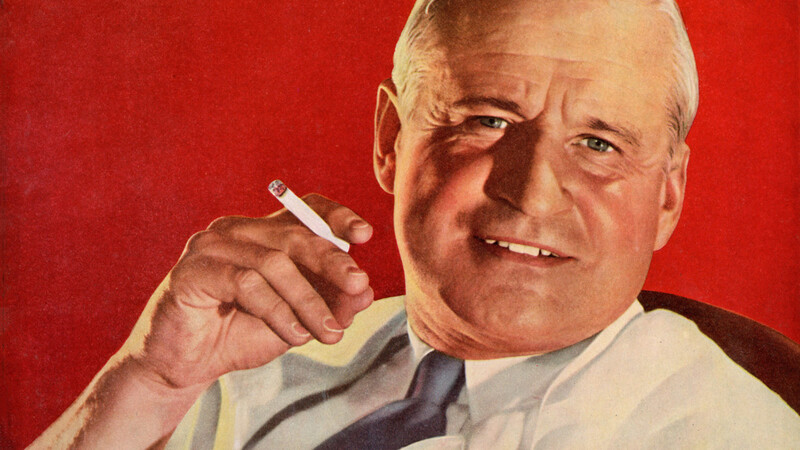 Doctors were coming out against cigarettes, culminating in 1964 with the U.S. Surgeon General’s report that smoking causes lung cancer, laryngeal cancer and chronic bronchitis. Still, tobacco companies continued to maintain, through their research committee, that there was still a “controversy” over whether cigarettes were unhealthy until 1998. That year, the Tobacco Institute and the Committee for Tobacco Research (as it was then known) disbanded in accordance with a lawsuit settlement. Soon after e-cigarettes debuted in Europe in 2006, tobacco companies began investing heavily in vaping. Since lung cancer takes a very long time to develop, data on the effects of vaping could take decades. In the meantime, there has been controversy over whether vaping is a better alternative for longtime, addicted smokers.